Christmas Greetings and New Year thoughts…. It’s been a little while since my last post – I am not catholic but that sounded quite like a confession to me! Between recovering from my operation, hubby having an operation and Christmas looming fast there just didn’t seem to be enough time to think let alone bake! 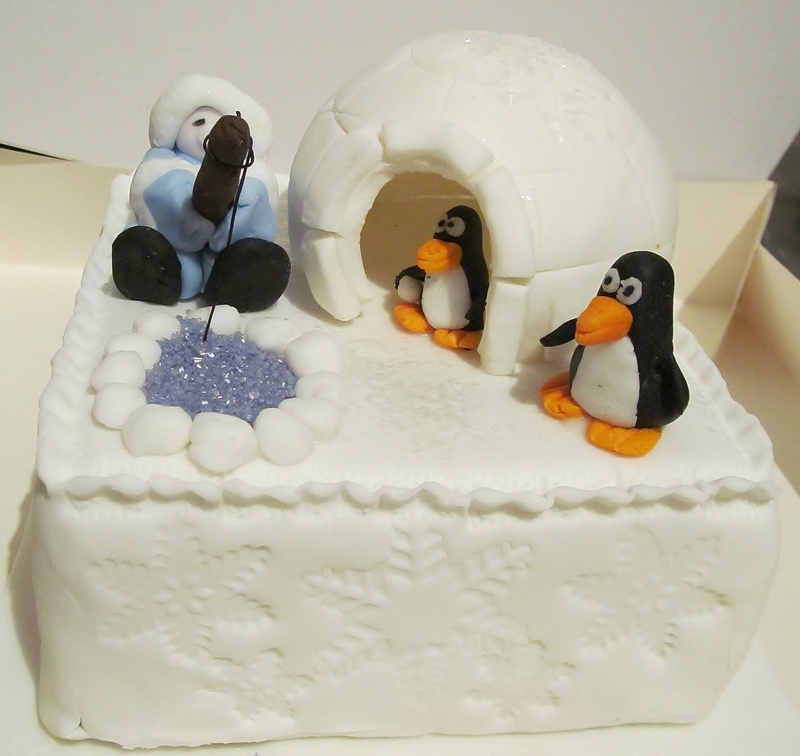 I can finally reveal my Christmas cake decorations. I have never made decorations like these before and they are a bit lumpy but for my first exploration into the world of sugar craft figures I was fairly pleased with them. I made four cakes from Mary Berry‘s fast mincemeat recipe. One cake for hubby and I, one for his mum and dad, one for my mum and one for good friends Bet & Ian who also bred our two beautiful dogs. I decorated 2 with an eskimo sitting up fishing and 2 with an eskimo laying in his igloo fishing. I then put them in cake boxes and made big labels with a picture of Father Christmas and words to the effect of made by L&K Bakery at Santa’s Workshop…a bit of fun. It’s this time of year when everything and everyone seem to go mad and rush out spending. This year, I didn’t do that, I just watched those around me dashing back and forth. The only rush I had was to get presents wrapped for family in Somerset and do the present run down there in the middle of that dreadful weather. Whether you get lots of presents or none, whether you feast on turkey and all the trimmings or have a sandwich, I think that Christmas feeling begins and ends within you and you do not need to spend a lot of money or stress out cooking loads of stuff to enjoy this time of year. My favourite times are just curling up on the sofa with hubby and the dogs watching a Christmas feel good movie such as Miracle of 34th Street- either version , or The Santa Clause, or a variety of other old favourites. New year is looming and people always ask what you are doing to mark this. I personally think that you are made to feel like a no body or a kill joy if you are not invited to a party or a celebration. The best new year‘s Eve’s I have had have been with either my other half or just a few friends or family. I hope that 2014 brings you peace and happiness. I hope for hubby and I that it will bring a more settled year……and that I get to finish this challenge before the year is out! Well it’s certainly been another interesting year and have to admit at times, incredibly stressful… Sadly some of that stress will continue at least into the beginning of 2014, but by always supporting each other, we both hope that a whole heap of sh*te can be put behind us. As for me, well by the middle of the year I find that my shoulder isn’t sorted and that further surgery would result in a 50% chance of losing the use of my arm!!! Let’s just say any further arm surgery is, funnily enough, on hold LOL. If it’s not one joint, then it’s another; Suppose that’s the joy of having a bone disease, but further hip surgery just before Christmas appears to have been a great success thank god. I can’t say I’ve done much photography at all this year, for some reason time just seemed to run away from us, although I have spent a lot of time this year enhancing my PhotoShop skills, especially in areas of HDR (High Dynamic Range). So what does 2014 hold in store for the two of us? God only knows, but as long as we have the two hairy hooligans with us, we’ll be fine and face it head on. I just pray that 2014 is far less stressful than the past 12 months and that Kim and I can focus more on the things that we both love doing. Well that’s all from me for now, at least until 12 months time. I too would just like to wish you all a very happy New Year and a peaceful and fulfilling 2014. 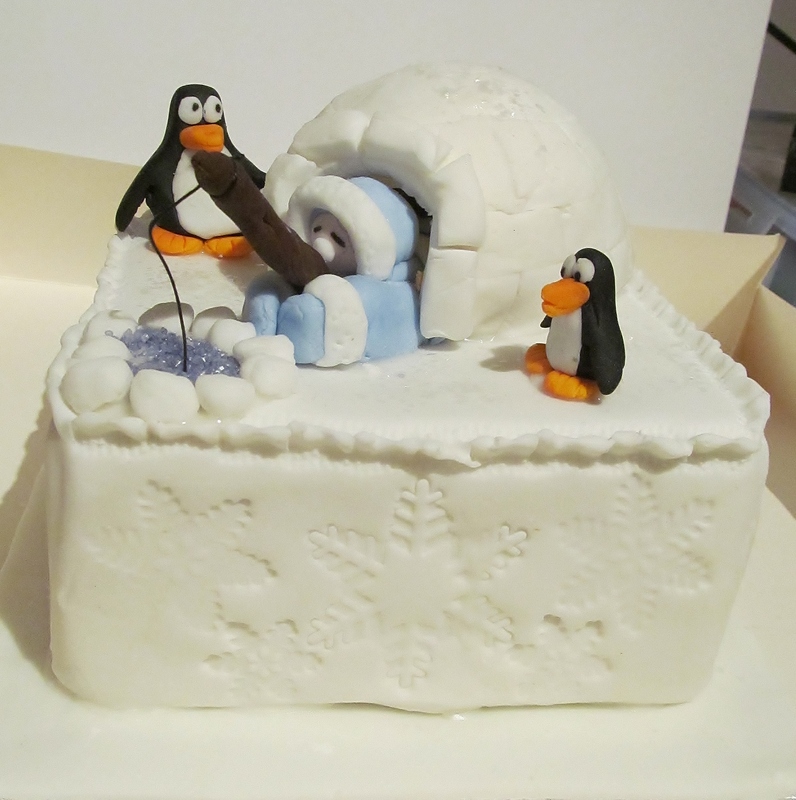 This entry was posted in Christmas Message and tagged Cake, Christmas, Christmas Cake, Mary Berry, Mary Berry's Fast Mincemeat Christmas Cake, New Year, Santa, Santa Claus, Somerset by kimsideas. Bookmark the permalink.